I failed to snap a picture of our view out the front window while we were in Dothan, Alabama. This is a picture of the BoggsMobile and the Green Machine where we parked next to the church. 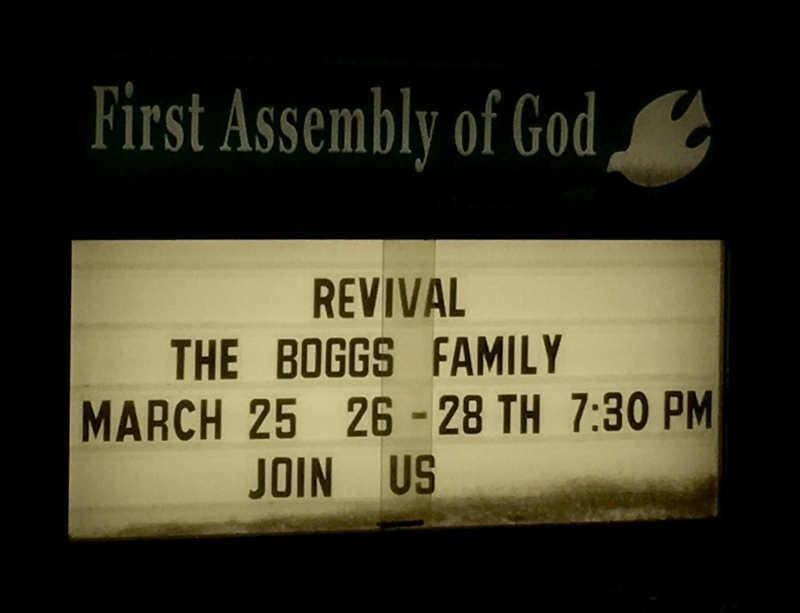 This is our view out the front window this week at First Assembly in Douglas, Georgia. Odie posted a small tribute to Sis. Naomi Frank yesterday. I have it listed below in the links of last week's posts. Bro. and Sis. Frank have been special friends of ours for many years and we are heartbroken for Bro. Frank. May God bless and comfort him in the days ahead.